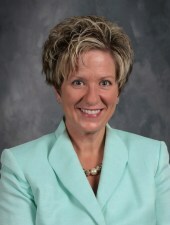 My name is Jennifer Fanning and I am honored to be your principal. This is my 23rd year in education. I have taught in the School District of Janesville for 17 years. I taught at Jefferson as a 4th grade teacher, Monroe and Adams as a Talented and Gifted Resource Teacher, Jefferson as a 3rd grade teacher, and many summers at various elementary schools, Edison Middle School, JSOL and as a Head Teacher right here at Kennedy. For the last 5 years, I was principal at McLenegan Elementary School and then at Cunningham Intermediate School in Beloit. I am excited to return to the School District of Janesville. It is my goal to inspire students as I am a lifelong learner. I earned a Bachelor of Science in Elementary Education , a Master of Arts in Teaching, Principal licensure and Curriculum and Instruction licensure, and I'm currently pursuing a Ph.D. degree in Educational Leadership & Policy Analysis. When I am away from school and the classroom, I enjoy spending time with my family, traveling and shopping. I look forward to partnering with our families to encourage all students to thrive at school, at home, and in their community.